TCM is airing two nights of Hammer Films horror movies this week. 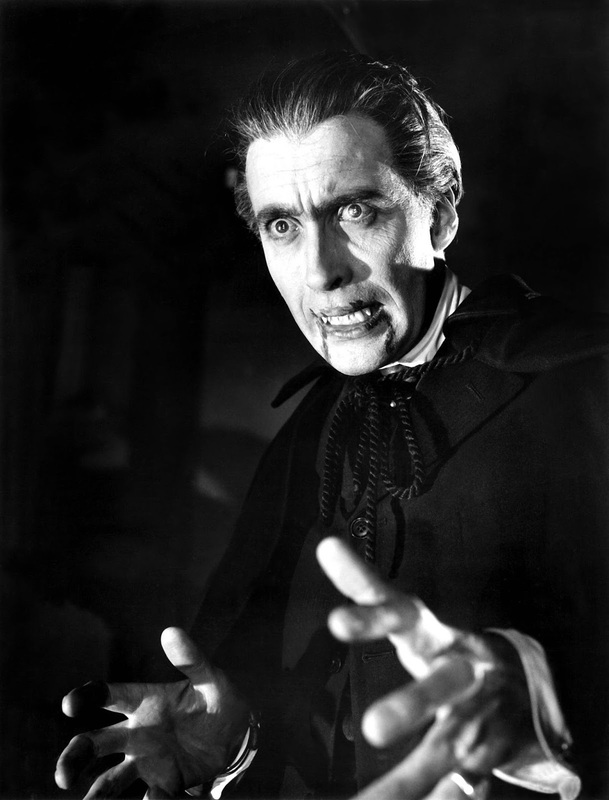 Sunday's lineup includes Christopher Lee in two of his many appearances as Dracula. TCM is airing a night of Hammer horror movies on Tuesday and two Hammer films starring Christopher Lee as Dracula on Sunday. 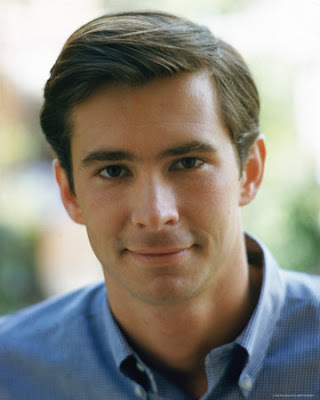 There's also an evening of films from star of the month Anthony Perkins and an 100th birthday tribute to actor Marsha Hunt. 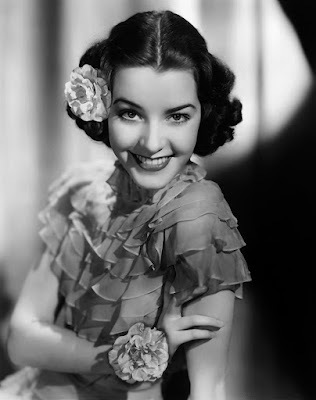 Birthday tributes: Marsha Hunt on Tuesday. Noir Alley: Escaped convict Dennis O'Keefe searches for the man (Raymond Burr) who framed him in Raw Deal (1948) at 10 a.m. Sunday. This movie is notable for director Anthony Mann and cinematographer John Alton's moody black and white photography, which writer David N. Meyer called "the richest cinematography in noir outside Citizen Kane." TCM Essentials: Celia Johnson plays a married woman who falls deeply in love at a train station in the Noel Coward adaptation Brief Encounter (1945) at 8 p.m. Saturday. Silent Sunday Nights: Lon Chaney plays a moody mad scientist who engineers car crashes in The Monster (1925) at midnight. TCM Imports: Two horror films starting with the French movie Eyes Without a Face (1960) at 2 a.m. Sunday night/Monday morning, which is about a scientist (Pierre Brasseur) who is trying to restore his daughter's face. The Japanese anthology horror film Kwaidan (1965) is airing at 3:45 a.m.
Best Day to DVR: Wednesday prime time and late night: I'll have a complete rundown on the Hammer horror lineup below, but I'm recommending Wednesday night's lineup of films starring Romy Schneider. Schneider shot to stardom in her teens in three German-language films about the 19th century Austrian Empress Elizabeth (nicknamed Sissi) that present a romanticized version of Elizabeth's troubled life (If you want a more accurate screen version, watch the 1974 BBC miniseries Fall of Eagles). However, all of the films feature beautiful costumes and location shooting in the Austrian Alps and Vienna. The lineup starts with Sissi (1955) at 8 p.m. followed by Sissi: The Young Empress (1956) at 10 p.m., and Sissi: The Fateful Years of an Empress (1957) at midnight. Forever My Love (1962) at 2 a.m. is a compilation of all three Sissi films. 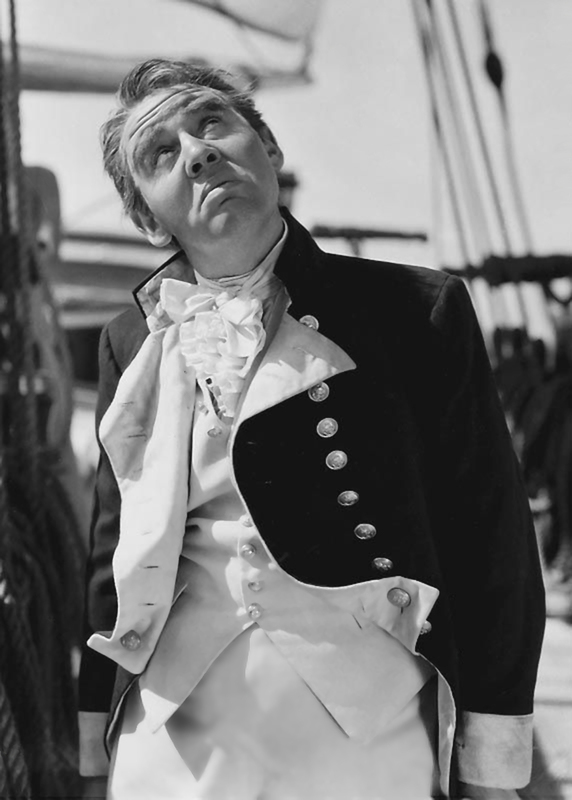 Finally, Schneider plays British Queen Victoria in The Story of Vickie (1954) at 4:45 a.m.
Charles Laughton as the villainous Captain Bligh in Mutiny on the Bounty (1935). Three daytime picks: The theme is movies about mind control. The low-budget War of the Planets (1966) at 3:15 p.m. finds a race of psychic aliens taking over a space station while mad scientist Robert Shayne turns Lon Chaney, Jr., into the Indestructible Man (1956) at 5 p.m.
Prime time lineup: Each Monday in October, TCM is partnering with the non-profit organization Women in Film to put the spotlight on the trailblazing ladies who worked behind the scenes in old Hollywood. Tonight's lineup features female editors; cutting films was one of the few high-level creative positions that was open to women in the old Hollywood studio system. Editor Anne Bauchens worked with director Cecil B. DeMille 25 times, including in the bizarro musical comedy Madam Satan (1930) at 8 p.m. Editor and producer DeDe Allen was the groundbreaking editor of the gangster film, Bonnie and Clyde (1967) at 10:15 p.m.
Late night pick: Writer, producer and editor Margaret Booth was an important part of MGM in the 1930s, cutting films like the Academy Award-winning Mutiny on the Bounty (1935) at 12:15 a.m.
Three daytime picks: An 100th birthday tribute to actor Marsha Hunt who was born Marcia Hunt on Oct. 17, 1917, in Chicago. Hunt was working as a model in New York City in the 1935 when got the attention of old Hollywood talent scouts. She was a contract player for MGM in the 1940s where she appeared in movies like the musical anthology film Carnegie Hall (1947) at 9:30 a.m. Hunt has a lot of fun in the comedy The Affairs of Martha (1942) at 1:30 p.m. as a maid whose mildly scandalous memoirs upset her snooty employers and in Seven Sweethearts (1942) at 4 p.m. as one of a befuddled S.Z. Sakall's many marriageable daughters. Prime time lineup: Each Tuesday night in October, TCM is airing a lineup of classic horror films. Tonight's movies are from British company Hammer Films, which made its name with stylish sixties horror films. The night starts out with Hammer regular Christopher Lee infiltrating a band of satanists in The Devil's Bride (aka The Devil Rides Out) at 8 p.m. followed by Lee and fellow Hammer star Peter Cushing in the Mary Shelley adaptation The Curse of Frankenstein (1957) at 9:45 p.m.
Late night pick: Hammer resurrects The Mummy (1959) at 11:15 p.m. while Oliver Reed plays a feral changeling in The Curse of the Werewolf (1961) at 1 a.m. Also in the lineup are the undead thriller The Plague of the Zombies (1966) at 2:45 a.m. and the creature feature The Reptile (1966) at 4:30 a.m.
James Cagney in White Heat (1949). 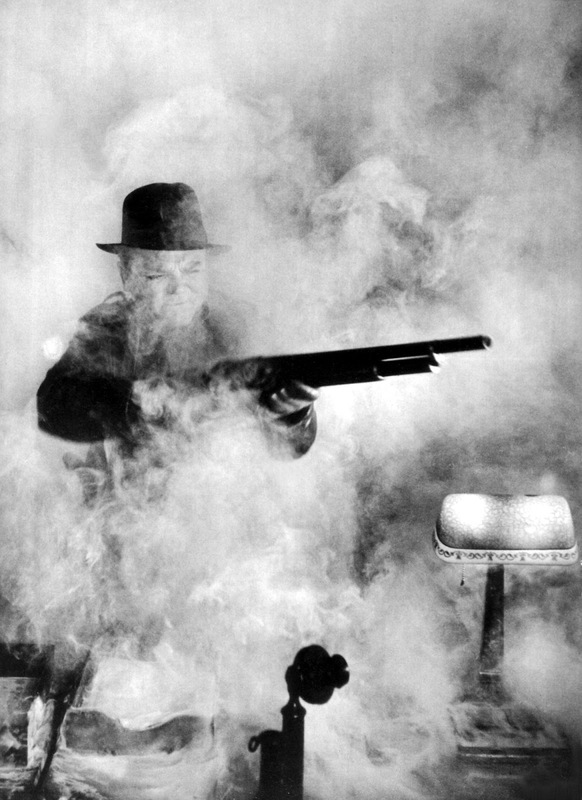 Three Daytime Picks: The daytime lineup is about movies with a color in the title starting with two great films noir: the Fritz Lang-directed flick The Blue Gardenia (1953) at 6:15 a.m. and the James Cagney gangster picture White Heat (1949) at 9:45 a.m. Sherlock Holmes (Basil Rathbone) and Dr. Watson (Nigel Bruce) are on the case in the mystery The Woman in Green (1945) at 5 p.m. This movie is based on the Arthur Conan Doyle short stories "The Final Problem" and "The Empty House" and features Henry Daniell as the villainous Professor Moriarty. 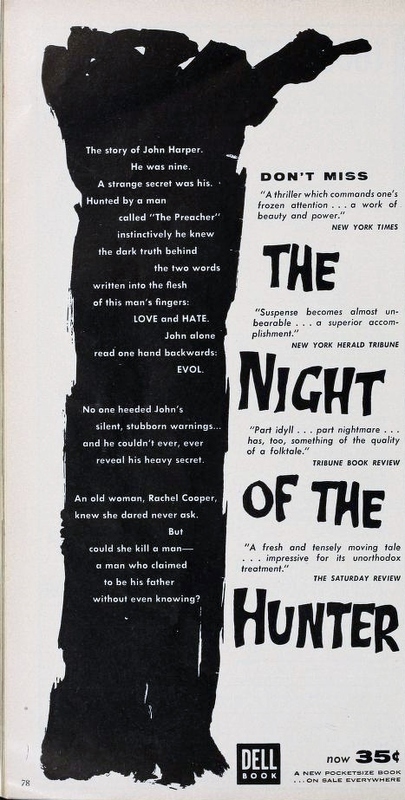 A vintage ad for The Night of the Hunter (1955). Three daytime picks: The theme is movies about explorers starting with the fascinating documentary With Byrd at the South Pole (1930) at 8 a.m. which feaures footage of legendary Admiral Richard Byrd's Antarctic explorations. There's also the 1937 version of the African adventure story King Solomon's Mines (1937) at 12:15 p.m. Manhunt in the Jungle (1958) at 6:30 p.m. details the search for explorer Percy Fawcett (James Wilson) who disappeared while trying to find an ancient city in Brazil. Fawcett's story is the basis for the book and film, The Lost City of Z (2017). Prime time lineup: TCM's guest programmer for October is director Todd Haynes. His selections are classic films he viewed while preparing to make his latest movie, Wonderstruck (2017). Haynes first choice is director King Vidor's silent film The Crowd (1928) at 8 p.m., which Haynes calls "a magnificent piece of engineering and filmmaking." Haynes chose Deep South saga Sounder (1972) at 10 p.m. because it is "an intense emotional experience." Late night pick: Haynes chose The Night of the Hunter (1955) at midnight because it is about two children (Billy Chapin and Sally Jane Bruce) on a physical and emotional journey, which is also a theme in Wonderstruck. Three daytime picks: A day of films from Norman Taurog who was one of MGM's most reliable in-house directors, He helmed the biopic Young Tom Edison (1940) at 7:45 a.m., the Judy Garland-Mickey Rooney musical Girl Crazy (1943) at 12:30 p.m., and the Manhattan Project saga The Beginning or the End (1947) at 4:15 p.m.
Prime time lineup: Every Friday in October TCM will air films from star of the month Anthony Perkins. Tonight's lineup features Perkins' later films starting with his role as Diana Ross' controlling fashion-world mentor in Mahogany (1975) at 8 p.m. Perkins is one of the many suspects in the black comedy about Presidential assassination (?) Winter Kills (1979) at 10:15 p.m.
Late night pick: Perkins played Reverend LaSalle in director John Huston's Western The Life and Times of Judge Roy Bean (1972) at 12:15 a.m. The Essentials series continues at 8 p.m. with host Alec Baldwin. He will be joined by former late night host David Letterman to discuss the romance Brief Encounter (1945) at 8 p.m. followed by two more Noel Coward-Celia Johnson collaborations: The marital melodrama The Astonished Heart (1949) at 9:45 p.m. and the World War II film In Which We Serve (1942) at 11:30 p.m. The daytime lineup features two films I've recently written about: Wuthering Heights (1939) at 12:15 p.m. is one of the 1001 classic movies you should see and Old Acquaintance (1943) at 6 p.m. is one of two films starring rivals Bette Davis and Miriam Hopkins. TCM will air Dracula movies every Sunday night in October. Tonight's lineup features two Hammer horror films with Christopher Lee playing the infamous Count in Dracula, Prince of Darkness (1965) at 8 p.m. and Dracula Has Risen from the Grave (1969) at 10 p.m.